Cozy cottage on the outskirts of Pollensa, in the north of the island. 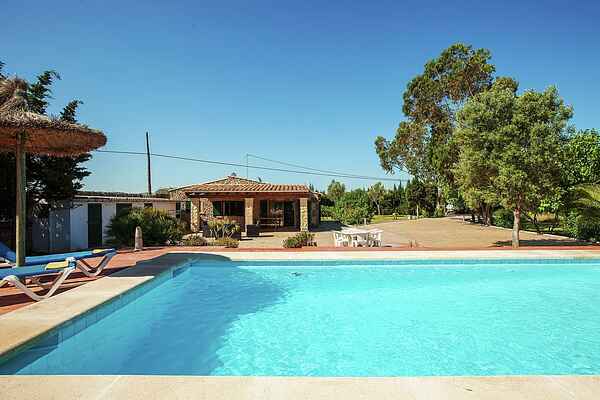 The house is located next to the sea and the beaches of the Pollença Bay. The house has 3 bedrooms, all with air conditioning, a bathroom with indoor bath and a shower outside. It also has a large garden and an outdoor swimming pool, as well as internet access and mobile barbecue. Important: The house is located near a motorway.